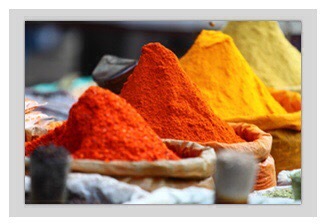 Use this Spice to Improve Your Insulin Sensitivity! And yes, it can actually help you win the battle against abdominal fat if you use it daily…I’ll explain why. Well… it’s good old tasty Cinnamon! Also, you could use a cinnamon capsule before each of your meals, particularly if you’re going to have more than 30 grams of carbs in that meal. Your Diabetes Epidemic! This Lifestyle Disease Can Be Avoided …. We’re talking about Type 2 diabetes here, the one that used to come on in middle age – but now younger and younger people are found to be pre- diabetic or with the full disease. According to top medical doctors, nutritionists, scientists, and now even the media type 2 diabetes is a completely reversible condition. Yet, millions of people all over the world are being told that diabetes is “genetic” and that they have to live with it the rest of their life. But there’s good news! In this article I will go over the exact steps you need to take to reverse type 2 diabetes naturally and improve type 1 diabetes. In most cases, type 2 diabetes can be reversed in less than 30 days. I also layout a sample eating plan and supplement regimen that you can follow or share with someone you love who needs this information. 25% of the Population is Pre-Diabetic… And They Don’t Know It! Aside from the financial costs of diabetes the more frightening findings are the side effects and the fact that diabetes is the 7th leading disease killer in America today. The most common side effects of diabetes include: high blood pressure, blindness, kidney disease, neuropathy, Alzheimer’s and amputation. So let’s discuss what actually causes diabetes and the difference between type 1 and type 2. Diabetes is an illness related to elevated blood sugar levels. Type 1 Diabetes is an autoimmune disease where the immune system attacks the insulin-producing beta cells in the pancreas. The damage to the pancreatic cells leads to reduced ability or complete inability to create insulin. Some of the common causes that trigger this autoimmune response may include a virus, GMO organisms, heavy metals, vaccines, or foods like wheat, cows milk, and soy. The reason foods like wheat and cows milk have been linked to diabetes is because they contain the proteins gluten and A1 casein. These proteins can cause leaky gut which in turn causes systemic inflammation throughout the body and overtime can lead to autoimmune disease. In order to reduce the autoimmune response and improve type 1 diabetes, I suggest you implement the advice in this article and follow the steps. Type 1 Diabetes is rarely reversed but with the right dietary changes major improvements in blood sugar levels can be seen and a person can often reduce their dependence on insulin and medications. Type 2 diabetes is the most common form of diabetes and is caused by insulin resistance. It is a metabolic disorder that is caused by high blood sugar. The body can keep up for a period of time by producing more insulin, but over time the insulin receptors sites get burned out. Now, we know the main causative factors in both type 1 and type 2 diabetes include foods that spike blood sugar levels and cause intestinal inflammation. Next, let’s go over the top foods you MUST get out of your diet to reverse type 2 diabetes and support overall health for type 1 diabetes. Refined sugar rapidly spikes blood glucose and soda, fruit juice and other sugary beverages are the worst culprits. These forms of sugar enter the blood stream rapidly and can cause extreme elevations in blood glucose. Even though natural sweeteners like raw honey and maple syrup are better options, they can still affect blood sugar. Your best option is to switch to stevia. Grains, especially gluten containing grains like wheat, contain large amounts of carbohydrates which are broken down into sugar within a few minutes of consumption. As discussed earlier, gluten can cause intestinal inflammation which affects hormones like cortisol and leptin, and can lead to spikes in blood sugar. I would remove all grains from your diet for your first 90 days on this healing program and after that time you can introduce back in sprouted ancient grains in small amounts. Conventional cow’s milk, should be eliminated especially for type 1 diabetics. Dairy can be a fantastic food for balancing blood sugar if it comes from goat’s, sheep, or A2 cows (1). Stay away from all other forms of dairy because the A1 casein produced by conventional cows will harm the body and trigger an immune response similar to gluten. When buying dairy, only purchase raw and organic from pasture raised animals. Alcohol can dangerously increase blood sugar and lead to liver toxicity. Beer and sweet liquors are high in carbohydrates and should be avoided. If you want to reverse diabetes quickly or prevent diabetes I suggest you add the following foods into your diet. 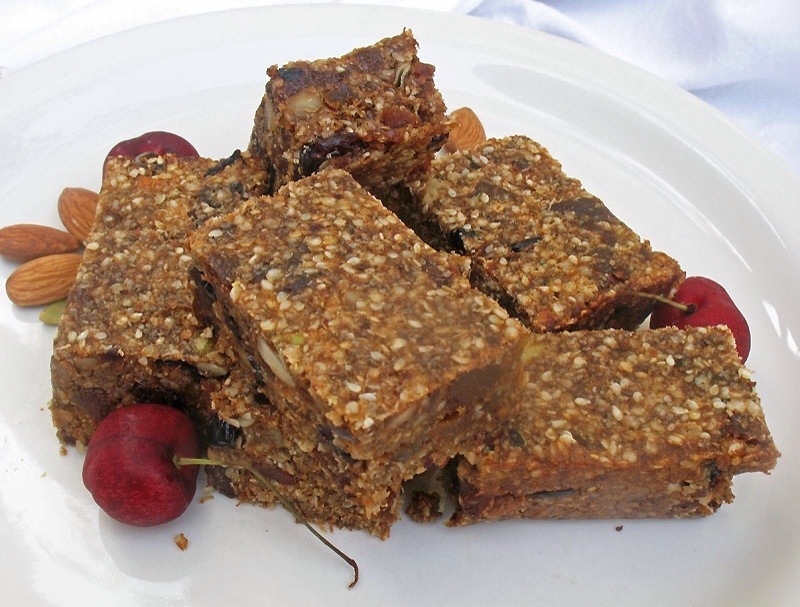 High fibre foods help slow down glucose absorption. Aim for at least 30g of fibre per day from vegetables, avocados, berries, nuts, and seeds. Foods high in chromium can improve GTF glucose tolerance factor in your body and naturally balance out blood glucose levels. Broccoli, raw cheese, green beans and grass-fed beef are all high in chromium, however broccoli has the highest amounts by far. MCFA’s found in coconut and red palm oil can help balance blood sugar levels and be a preferred fuel source for your body rather than sugar. Wild-caught fish contain Omega-3 fats and reduce inflammation which can help counteract some of the negative effects of elevated blood glucose. Foods with a low glycemic load tend to not spike blood sugar as much as high glycemic foods. Low glycemic foods include vegetables, nuts, seeds, avocados, coconut, organic meat, eggs, wild caught fish and raw pastured dairy. Sprinkling herbs like cinnamon, turmeric, and parsley on your food may also help balance blood sugar levels. 1. Chromium Picolinate (600 mcg daily) Helps improve insulin sensitivity. 2. 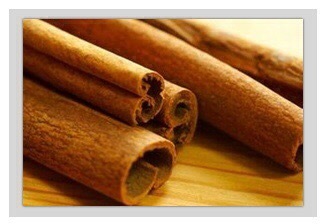 Cinnamon (2 tsp daily) Add to food, smoothie or tea to help improve blood sugar control. 3. Fish Oil (1,000 mg daily) Omega-3s are necessary for proper insulin function. 4. Alpha-Lipoic Acid (300-1200 mg daily) Improves insulin sensitivity and reduces symptoms of neuropathy. 5. Fibre Powder (10 g) Fibre from vegetables and seeds can control blood glucose. I recommend finding a supplement that contains sprouted chia and flaxseeds. Other supplements that may support diabetes include: magnesium, rhodiola, green coffee extract, bitter melon, and gymnema sylvestre. Exercise is another crucial part of improving insulin sensitivity. It naturally supports metabolism by burning fat and building lean muscle. To prevent and reverse diabetes I recommend getting outside and walking 20-30 minutes a day. This has been shown to be especially beneficial following meals. In addition to walking, you also need to do interval training cardio (like burst training) or weight training 3 to 5 days a week for 20-40 minutes. Burst training can help you burn up to 3x more body fat than traditional cardio and can naturally increase insulin sensitivity. You can do this on a spin bike with intervals or you can try my BurstFIT home training program. Burstfit has a variety of workouts for all levels of fitness. Strength training using free weights or machines is also recommended because it helps you build and maintain muscle, which supports balanced blood sugar and sugar metabolism. *MILK – type 2 cows – what are they? 1- Prominent food researcher Dr. Thomas Cowan has been involved in thinking about the medicinal aspects of cow’s milk virtually his entire career. His studies on the subject started in earnest when he read the book The Milk of Human Kindness Is Not Pasteurized, by maverick physician, William Campbell Douglass, MD. Cowan became convinced that a large part of the disease in this country is related to the way we handle, or rather mishandle, milk and milk products. Raw and cultured dairy products from healthy grass-fed cows are one of the healthiest foods people have ever eaten. However, pasteurized milk products have caused more disease than perhaps any other substance people are generally in contact with. However, he still felt that a piece of the puzzle was missing. Many of his patients, in spite of eating only the proper dairy products, still had illness and still seemed not to tolerate milk. Recently, he was asked to consider writing the foreword to a book called The Devil in the Milk, written by Dr. Keith Woodford, which was again an eye-opener for him. All proteins are long chains of amino acids. Beta casein is a chain 229 amino acids in length. Cows who produce this protein in their milk with a proline at number 67 are called A2 cows, and are the older breeds of cows (e.g. Jerseys, Asian and African cows). But some 5,000 years ago, a mutation occurred in this proline amino acid, converting it to histidine. Cows that have this mutated beta casein are called A1 cows, and include breeds like Holstein. Proline has a strong bond to a small protein called BCM 7, which helps keep it from getting into the milk, so that essentially no BCM 7 is found in the urine, blood or GI tract of old-fashioned A2 cows. On the other hand, histidine, the mutated protein, only weakly holds on to BCM 7, so it is liberated in the GI tract of animals and humans who drink A1 cow milk. BCM 7 has been shown to cause neurological impairment in animals and people exposed to it, especially autistic and schizophrenic changes. BCM 7 interferes with the immune response, and injecting BCM 7 in animal models has been shown to provoke type 1 diabetes. Dr. Woodford’s book presents research showing a direct correlation between a population’s exposure to A1 cow’s milk and incidence of autoimmune disease, heart disease, type 1 diabetes, autism, and schizophrenia. Simply switching breeds of cows could result in amazing health benefits. GI or GL Why Should I Bother #5 ? GI or GL Why Should I Bother? Dermatologists believe that refined carbohydrates trigger inflammation, which in turn cause ageing. The high levels of free radicals attack collagen and elastin that keep skin firm. Reducing these foods will delay this part of the ageing process. GI or GL Why Should I Bother #4? Reducing insulin levels can help with acne and oily skin. Research at Colorado University found high insulin levels increased androgens. Male hormones, that trigger excess sebum (oily skin) production. GI or GL Why Should I Bother #3 ? A high fibre content diet will reduce the GI value of your diet. Experts say we should be aiming for 25-30g of fibre daily. This will help with digestive. Bowel problems and help remove fat from your gut. GI or GL Why Should I Bother #2. ? #2 GI or GL Why Should I Bother? In a study at Yonsei University, South Korea. Their homocysteine levels dropped by 28%. These substances are linked to heart problems and Alzheimer’s disease. It’s the glycemic index value, or sugar content, measured in 100g portion of your foods. It’s the glycemic load, or the sugar content in a normal portion of your foods. I prefer to use GL just because you don’t normally eat 100g of many foods. So, comparing portion values gives you a better idea of which foods will effect your health and body fat! Harvard University found that women who eat lots of refined carbohydrates have 10% less good cholesterol. This good cholesterol keeps your heart healthy. They also had 76% more triglycerides which is a very toxic fat. So start controlling the sugars in your diet! How many servings of these foods do you have daily? Score 1 point for every serving.